Access physical activity grades, report cards and other related documents from all Global Matrix events in which Sweden has participated. Include the objective measures using accelerometry collected by Riksmaten (national study conducted by the National Food Administration in 2016.) We were hoping to include it this time, however, unfortunately, they had not finalized all their data processing yet. Improve the indicators given the grade “Inc”. For instance, a national survey called Generation Pep is conducted for the first time 2018 and the plan is to repeat it annually. Here we hope to include questions for the indicator “Family and peers” for instance. Work within the team trying to improve our understanding why we in Sweden have quite low grades for overall physical activity and sedentary behavior although the indicators governmental policies and school are quite high. Marie Löf, Ph.D.Marie Löf is Associate Professor, senior researcher and group leader at the Department of Biosciences and Nutrition, Karolinska Institutet, Sweden, since 2011. 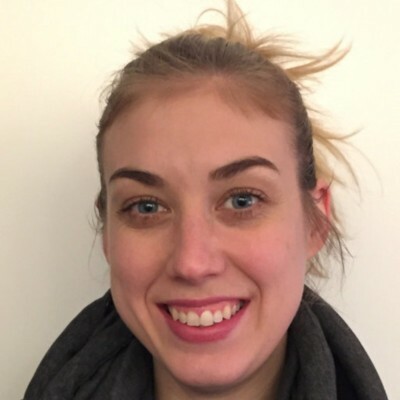 Her research group studies early-life factors important for the establishment of childhood obesity with special emphasis on physical activity. Another area of Marie’s research concerns development and evaluation of methodology important for nutritional assessments. This work includes methodology to assess intake of foods and energy, physical activity and body composition. Recently this interest has primarily focused on the possibilities of using telecommunication technologies, such as mobile phones, to improve dietary and physical activity assessments in different populations with focus on children. One of her recent studies is the so called MINISTOP trial which is a mobile phone based intervention aiming at improving dietary habits, increasing physical activity and decreasing sedentary behavior in four-year-old children. "I enjoyed every minute of the work leading the Swedish Report Card team for the Global Matrix 3.0. This was the second time for us and now we know how to do it! All team members have already said yes to the 4.0 version and are eager to start. I am also very impressed with the organization with all 49 countries. There is a great potential with this network- together we have the possibility to improve children’s health." - Marie Löf, Ph.D. and Christine	Delisle Nyström, Ph.D.
Introduction: The consolidation of physical activity and sedentary behavior data is extremely important, in order for researchers, policy makers, and key stakeholders to identify problem areas and intervene appropriately. Methods: Sweden’s 2018 report card included the ten core physical activity indicators that are common to the Global Matrix 3.0 as well as an additional indicator, diet. Each of the 11 indicators were assigned a grade from F to A+ representing the percentage of children and youth meeting a defined benchmark. If there was no data or insufficient data for an indicator it was marked as incomplete. Results: Three of the 11 indicators, i.e., active play, family and peers, and physical fitness were assigned a grade of incomplete due to the lack of available data for these indicators, thus showing that knowledge and research gaps exist. 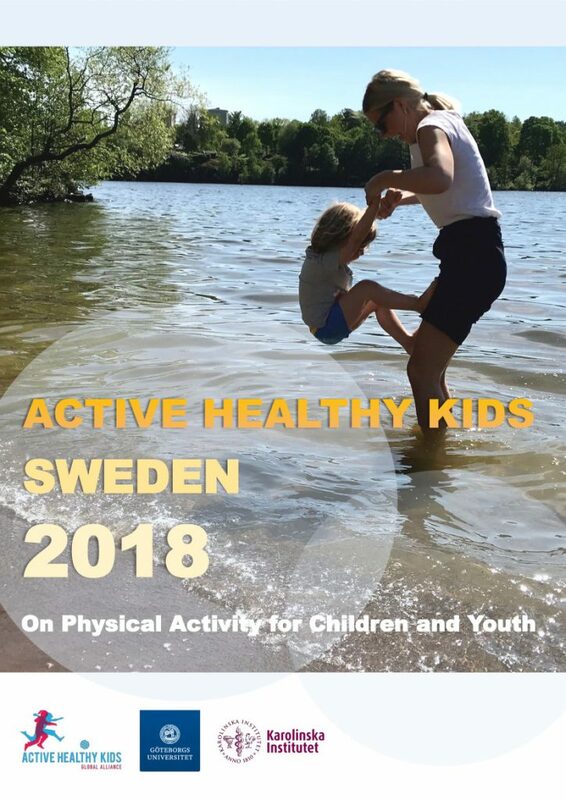 Conclusions/recommendations: As the relatively low grades for the 2018 report card have remained virtually unchanged since 2016 for daily behavior indicators, it is vital that key stakeholders begin to plan how to appropriately intervene in order to increase overall physical activity and decrease sedentary time in Swedish children and youth. In Sweden community and environment favor an active lifestyle and the promotion of physical activity. Furthermore, there are strong government initiatives that promote physical activity among children and youth. 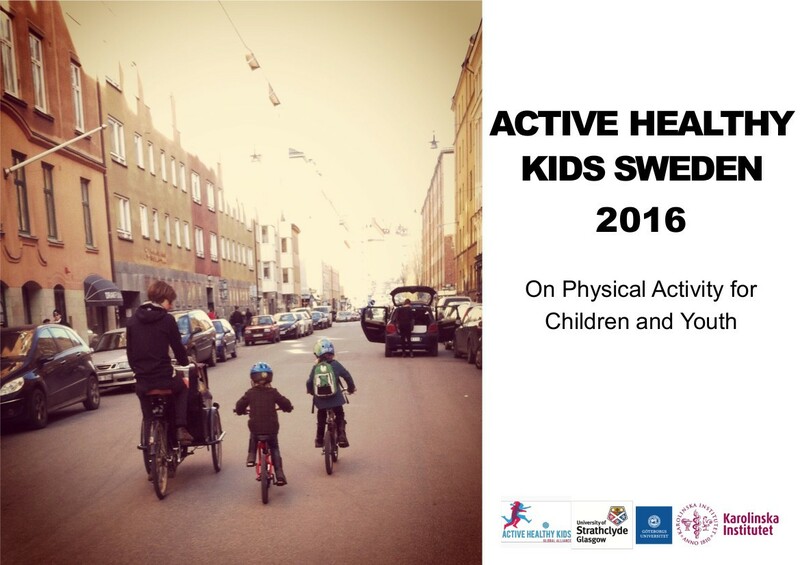 Despite the conducive environment for physical activity in Sweden, overall physical activity is low and sedentary behavior is high, which indicates a need for a more integrated approach to promote physical activity in Sweden’s children and youth. Have schools promote active transportation, encourage parents not to pick up or drop off their kids. This could be accomplished by promoting walking/biking groups for children who live near each other. Promote organized sports/games after school (clubs for children to join). Increase collaboration between the health and urban planning sector in order to improve the environment for physical activity. Increase physical activity education classes in school (minimum 1.5 hours/week now). Further evaluate the implementation, efficacy and effectiveness of national strategies and policies and improve knowledge on the role of active play and family peers in our country. "It has been a great opportunity to be involved in the Global Matrix 2.0. This is the first time Sweden participated and we have learnt a lot. For instance, national surveys in children across different age groups using objective measures for physical activity in Sweden are clearly needed. The project has also provided me with the opportunity to work together with other researchers and representatives from governmental agencies. My team and I are looking forward to develop, refine and extend the data included in the activity report card for the Global Matrix 3.0. Challenge." 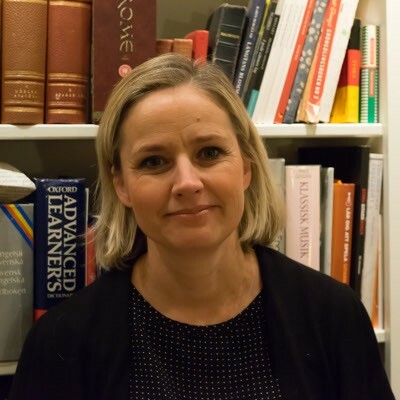 - Marie Löf, Ph.D.
Background: The Sweden 2016 Report Card on Physical Activity (PA) for Children and Youth is a unique compilation of the existing physical and health related data in Sweden. The aim of this paper is to summarize the procedure and results from the report card. Methods: Nationally representative surveys and individual studies between 2005-2015 were included. Eleven PA and health indicators were graded using the Active Healthy Kids Canada grading system. Grades were assigned based on the percentage of children/youth meeting a defined benchmark (A: 81-100%, B: 61-80%, C: 41-60%, D: 21-40%, F: 0-20%, or incomplete (INC). Results: The assigned grades were: Overall Physical Activity, D; Organized Sport Participation, B+; Active Play, INC; Active Transportation, C+; Sedentary Behaviors, C; Family and Peers, INC; School, C+; Community and the Built Environment, B; Government Strategies and Investments, B; Diet, C-; and Obesity, D. Conclusion: Overall PA is too low and sedentary behavior is too high for almost all age groups in Sweden, even with the many national policies as well as an environment that is favorable to the promotion of PA. We are hoping that this report card will increase stakeholders’ awareness on the need to promote PA and reduce sedentary behavior.